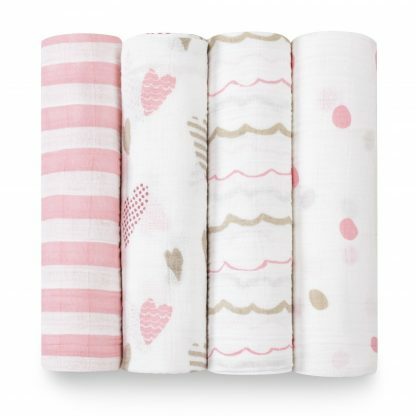 Aden and Anais – 47″ Heart Breaker Classic Swaddle offers four beautiful and modern designs in hues of pink and tan. 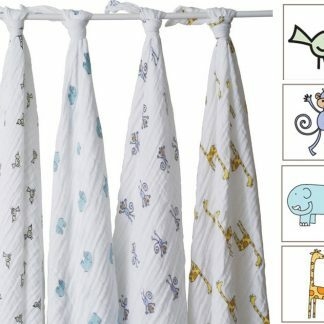 You will love these four muslin swaddle blankets. Perfect for any little baby girl, each muslin swaddling blanket features a unique design, including pink stripes against white, adorable pink hearts, wavy lines, and a polka dotted swaddle. 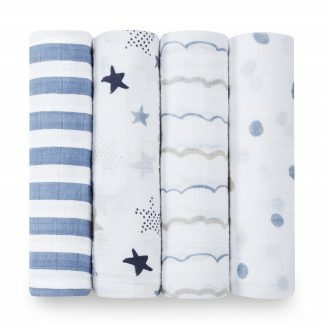 This classic Aden + Anais Classic Swaddle (Set of 4) are made of 100% cotton muslin. Muslin is breathable, versatile, and soft fabric. With its 47″ x 47″ large size, you can use these swaddling blankets as a stroller cover, burp cloth or nursing cover. 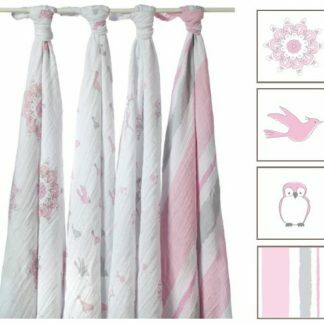 These muslin blankets are pre-washed, so they are super soft and only gets softer with each wash.
Why choose bamboo swaddle blankets? There are so many reasons! First, bamboo is breathable and comfortable, safe for your baby, yet it’s durable and strong and only gets better with age. 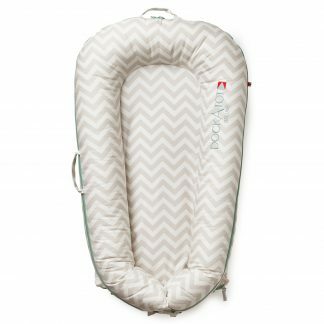 The open weave and lightweight bamboo fabric prevents the risk of overheating – one of the potential causes of SIDS, yet it still provides your baby with comfort and warmth. The natural fiber in bamboo swaddle blankets are able to withstand multiple washes, and they actually get softer with age. Aden and Anais have added the bamboo line of swaddles to their original line of swaddle blankets that are award-winning, and provide the ultimate in versatility, breathability and quality. * Muslin is breathable; prevents overheating; gets softer with multiple washes. 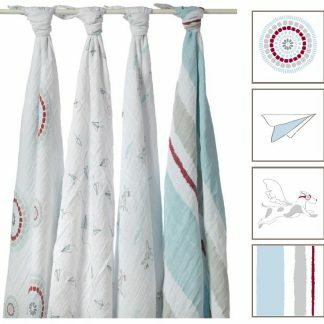 All of Aden and Anais blankets are 100% cotton muslin, it is a finely woven breathable fabric. It is one of the most gentle, purest, and simplest fabrics in the world, safe and comfortable for baby. Mothers have been swaddling their babies since at least 4000 B.C. Swaddling soothes and calms babies; it makes infants feel cozy and secure, just like they felt in the womb. There’s also evidence that swaddling babies offers infants a more restful night’s sleep because it prevents the startle reflex from waking them up. Swaddling doesn’t come natural to every mom; it takes patience and lots of practice to get your swaddling down right! Here are some basics on how to swaddle your baby. Lay your Aden and Anais swaddle blanket in diamond shape, and fold the top corner down to form a triangle. Place your infant in the center of the folded area. Your baby’s head should be just above the fold of the swaddle. His or her shoulders should be below the fold. Next, place your baby’s right arm slightly bent at the elbow flat against his or her body. 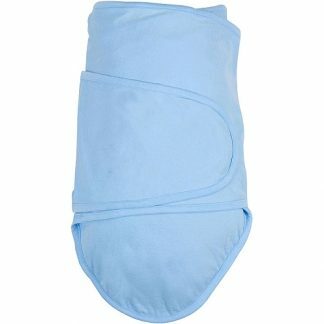 Take the left side of the muslin swaddle blanket and bring it across your little one’s chest. Make sure that your infant’s arm is securely under the fabric. Tuck the edge of the swaddling blanket underneath baby’s body to ensure a secure swaddle. 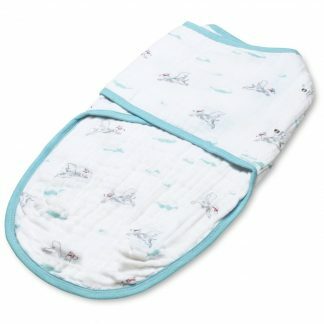 Fold the bottom of the Aden and Anais blanket up and over your baby’s feet. Place your baby’s left arm – again slightly bent at the elbow – against his or her body. Take the right side of the swaddle and bring it across your little one’s chest. Tuck any extra fabric underneath the baby to ensure a tight swaddle. Ta-da! Congrats, you’ve successfully swaddled your baby! If you’re more of a visual person, watch the video below on how to swaddle your baby.